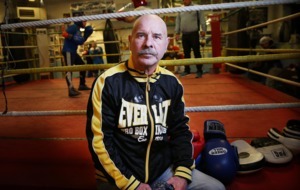 THE Belfast boxing community will bid farewell to a stalwart of the city’s fight scene on Thursday following the sad passing of Gerry Fitzpatrick on Saturday. 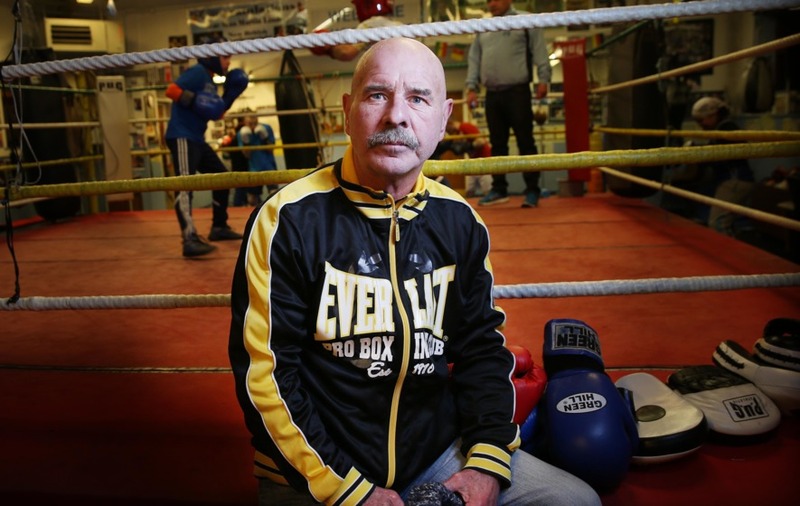 ‘Fitzy’, who was 66, has been a cornerstone of Immaculata’s success throughout much of the past three decades, helping train some of the stars to have come out of the famous west Belfast club. 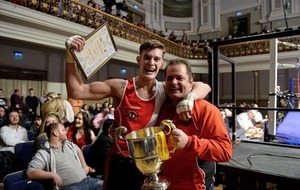 Among those to have emerged in more recent times was his own son Joe, who won three Ulster elite titles and a Commonwealth Games silver medal before moving on to the professional game. Immaculata coach Gerry ‘Nugget’ Nugent admitted everybody associated with the club, and the area, was in a state of shock at the loss of such a well-liked and well-respected figure. “He went in for a wee simple operation last Wednesday. I spoke to him that night and he said he didn’t feel too well, and then I don’t know what happened…” said ‘Nugget’. “Fitzy was such a strong man and, although he hadn’t been well lately, it’s still such a shock. The man was as strong as a bull. 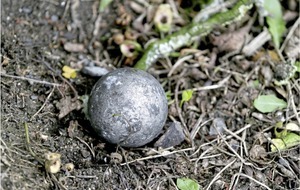 “I knew him all my life - we both grew up in the district. I was older than him so we didn’t always knock about together, but then later on we would’ve got to know each other through the handball. 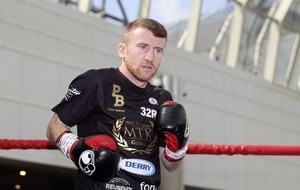 “One day I said to him ‘come on down and give Paul McCullagh a hand at the boxing club’ – I roped him into it, and it went from there really. That was during the Hunger Strikes, so he’s there around 40 years. And in terms of the impact he made at the Mac, ‘Nugget’ says his friend’s quiet influence will never be forgotten. “He’s a massive loss – it’s hard to even put into words. “You don’t even see Fitzy’s work; he just keeps everything in place. I don’t even know yet how much I’ll miss him that way because he was just over everything, always had everything sorted. “I walk in and start training but he’d have done everything, that’s the way he works and that’s the sort of fella he was. 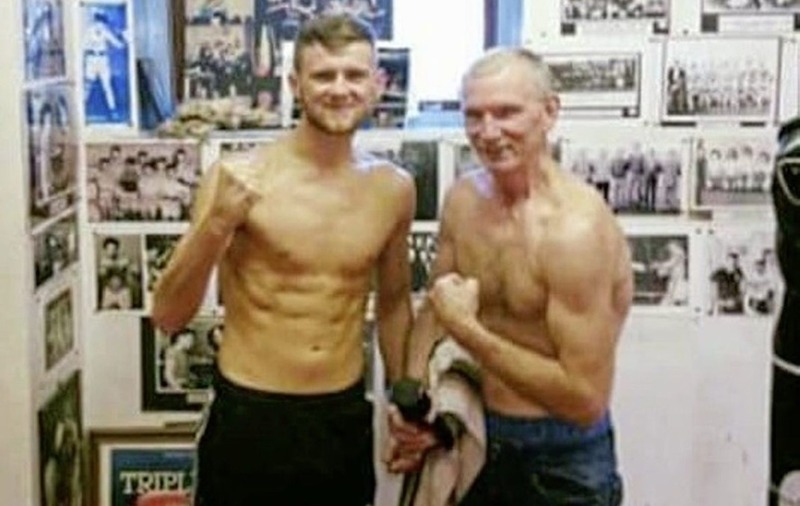 In an interview with The Irish News before the 2014 Commonwealth Games in Glasgow, Joe Fitzpatrick detailed the impact his father had on his boxing career from the earliest of days. "When I was about five, my daddy was bringing me up to the boxing club every night,” he said. Gerry Fitzpatrick’s funeral will take place in St Peter’s chapel at 11am on Thursday morning before a small service at Roselawn crematorium. 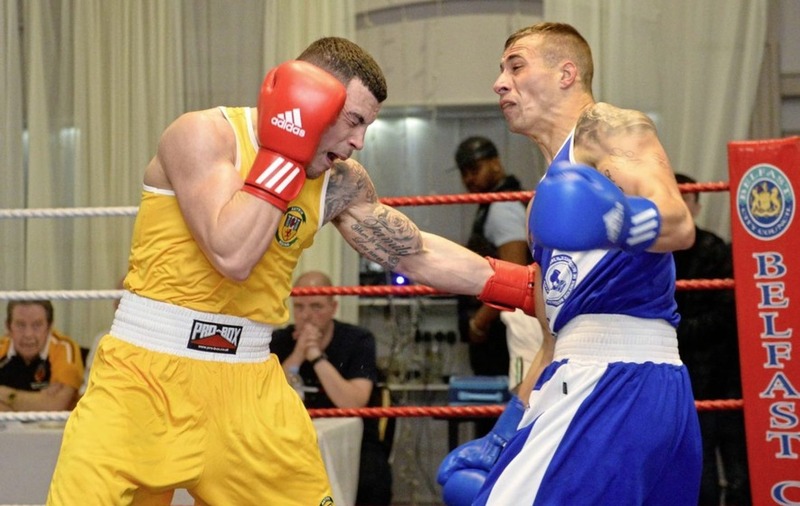 COUNTY Antrim swept to a landslide victory over a Basque select at a packed Balmoral Hotel on Saturday night. Although the final 7-0 result looks one-sided, each contest was keenly contested – a credit to match-maker Harry Cunningham – with some outstanding performances. Top of the pile was Anthony Johnston. 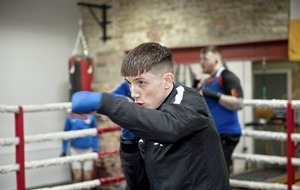 The Gleann welter – a 2015 European junior bronze medallist - hasn’t boxed much competitively since returning from Samoa with a Commonwealth Youth Games silver medal two summers ago, but looked as though he had never been away with a classy display against Iker Fernandez. 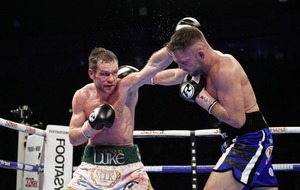 Young St George’s ace Jack McGivern had his hand raised after a tough lightweight battle against Ander Blanco Cirion, while Star’s Lee McKee was in excellent form as he defeated Jokin Garcia in their 63kg showdown. The fight of the night saw Ben Ferran and Basque’s Asier Larrinaga going toe-to-toe, with the Clonard man deservedly getting the nod from the judges. St Paul’s stylist Gerard Matthews had too much for Joussef Hamid at 63kg, while Nathan Watson turned in a composed display against Jon Kaminuaga. 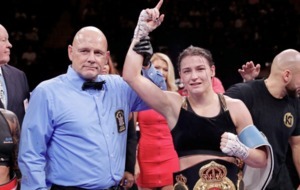 In the evening’s sole female contest Evelyn Igharo – a late replacement for club-mate Shauna Callaghan – proved too strong for lightweight rival Naiara Olmedo. Unfortunately for St John Bosco light-heavy Paul McCullagh and St George’s middleweight Dermi Mazarire, their opponents didn’t travel. A 13-strong male and female Irish squad will head to Germany tomorrow for a pre-Chemistry Cup training camp. The prestigious competition takes place in Cologne from April 9-14, and the Irish team will be based at the German Olympic and Paralympic Centre in Kienbaum for the next 10 days. Rio Olympians Joe Ward and Brendan Irvine, as well as reigning EU champion Kurt Walker, return from hand injuries for the 45th edition of the tournament. Irvine has been out since injuring his hand last year and made a welcome return to action last weekend in New York, defeating Geraldo Vasquez. Walker, Carly McNaul and James McGivern, who are also included on the Irish panel, also won in New York on St Patrick’s weekend. Three-time European Elite champion Ward will be aiming for a third Chemistry Cup gold as he beat Russia’s Olympic light-heavy champion Egor Mekhonstev in the 2012 final and Kazakhstan’s Adilbek Niyazimbetov in the 2014 decider. 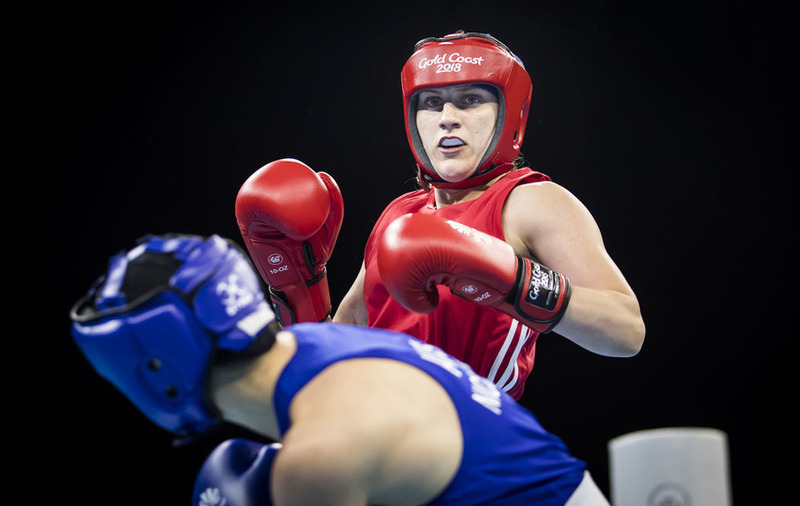 Two-time Commonwealth Games finalist Michaela Walsh and McNaul line out at feather and fly, while Christina Desmond and Grainne Walsh double up at welter. The host nation, Cuba, Russia, Team GB, Ireland and a number of other nations are booked in for the training camp and tournament. THE Police Service of Northern Ireland (PSNI) will host the New York Fire Department (FDNY) in a special boxing tournament at Belfast’s historic Ulster Hall on Saturday night. For the first time there will see a combined police team, with members of the Garda and PSNI boxing clubs joining forces for this international showdown. The FDNY will be bringing a travelling party of 14 and, with a 12-bout bill, it promises to be a great night’s entertainment. Tickets are priced at £20, and £40 for a VIP package (includes ringside seats, after show party at Harlem Café). For £20 tickets, contact the Ulster Hall box office. For VIP tickets, email redtriangleboxingVIP@btinternet.com, or contact Stephen on 07813 785810, Colin on 07814 496677 or Keith on 077761 44885.